This miniature dollhouse children's book is a 1:12 scale Llama Llama Red Pajama (non-opening). 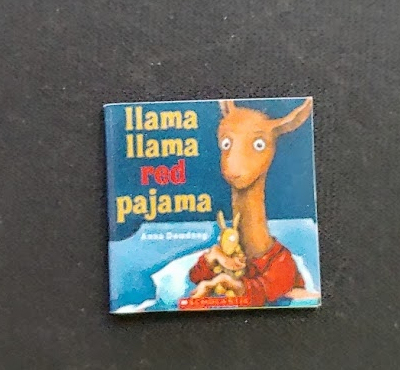 The miniature book Llama Llama Red Pajama is printed on both sides and measures 0.75" x 0.76" x 0.04". Date Added: 10/04/2018 by Shelly B. This Llama Llama Red Pajama Book is supplied by Cindi's Minis, which generally ships within 1 business day(s) of you placing your order .